Home/Activettes, Clothesline, Community Events, Food Bank/Thank You Volunteers! Thanks to all of the volunteers who helped us collect donations, move in and prepare food and toy hampers. 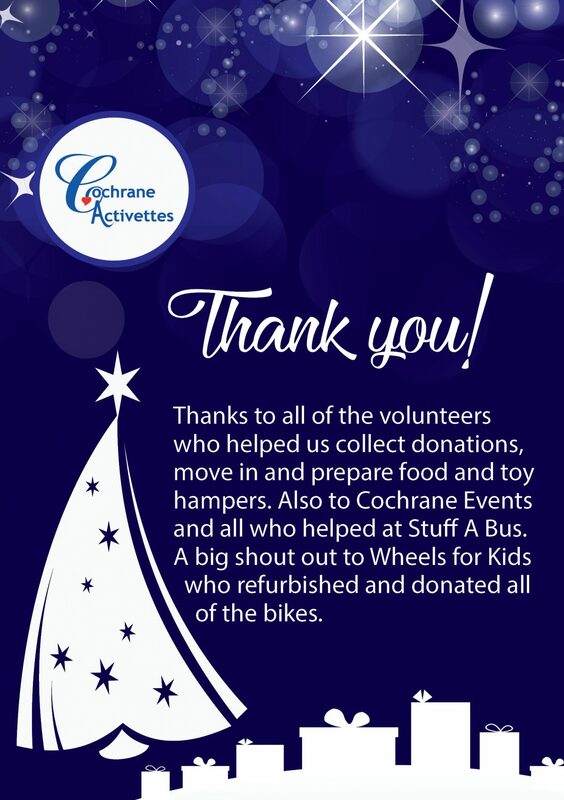 Also to Cochrane Events and all who helped at Stuff A Bus. A big shout out to Wheels for Kids who refurbished and donated all of the bikes.